Created 150 years ago, UBS is not only the largest wealth management bank in the world; it is also one of the largest precious metals suppliers. UBS is the result of the merger of Union de banques suisses and Société de banque Suisse, occurring on July 1, 1998. Its two headquarters are located in Basel and Zurich, in Switzerland, but it operates in more than 50 countries worldwide. Its main activities are private banking, investment banking and wealth management. UBS ranks among the top precious metals traders in the world and is present on all major gold markets. The keys which symbolize trust, security and discretion, and the Union de banque suisse logo unite to form the current UBS logo. UBS does not own a precious metals refinery, but it works in close collaboration with known refiners. UBS-stamped bars generally include the refiner’s seal. For example, you can get UBS gold bars bearing the PAMP Swiss refinery seal. UBS also collaborates with Hargor Heraus, among others. With these connections, UBS offers its clients a wide array of products of almost any size on the market. For example, gold bars come in a choice of 11 sizes, from 1 gram to 1 kilogram. UBS bars are of the best quality. Their precious metals respect all London Bullion Market Association standards. UBS has developed with its partners an item which, placed on the back of the bars, changes color according to viewing angle. This process, not unlike the hologram on paper bills, helps limit and identify counterfeiting. The UBS KINEBARs bearing this item are, of course, a little more expensive, but they offer extra security. Besides gold and silver bars, UBS has a vast selection of investment products in platinum and palladium. As the second largest banking group in the world, UBS is able to offer all financial services. 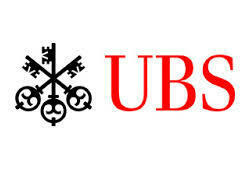 UBS can also manage the storage of your precious metals in high-security vaults. UBS products conform to the standards of the London Bullion Market Association (LBMA), which guarantee fineness and weight.